The most iconic marathon in the world! A world record number of people have entered the ballot for the 2019 Virgin London Marathon (414,168 to be exact). If you are one of the many thousands to get a ballot place then we would love you to join our team as an independent runner. If not then this could be your chance to run in the worlds biggest and most famous marathon. 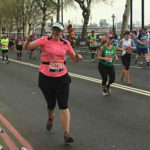 The Rosie May Foundation have secured a place in the 2019 London Marathon for one dedicated supporter of the work we do. Not only is this a challenge of a life time but a fantastic opportunity to help children in crisis and change their lives, giving them a future that Rosie May was denied. Our Rosie May Foundation runner will be asked to raise a minimum of £1850 and pay a £50 administration fee to secure their place. 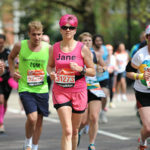 We will support our runner through training, giving free online advice from an experienced Personal Trainer who has previously run the London Marathon for The Rosie May Foundation. Our runner will also benefit from our support on fundraising, maximising their publicity across our social media platforms.